Chris Pratt’s new look in the movie Jurassic World is tempting enough. Now you can experience an eye-catching impact in just one click. 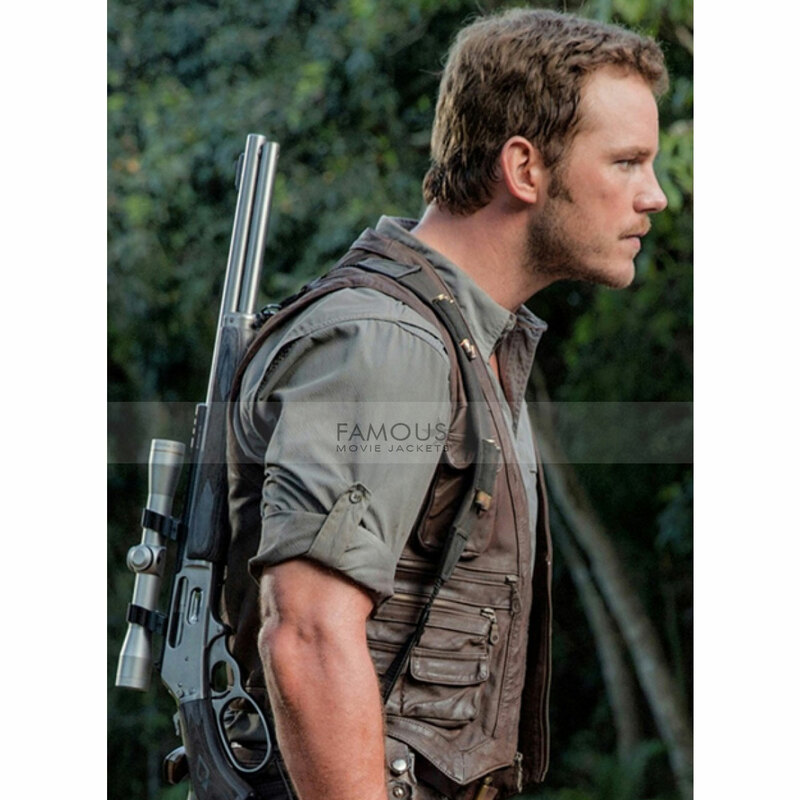 The above superlative jacket is inspirational from Jurassic World Chris Pratt Leather Vest. 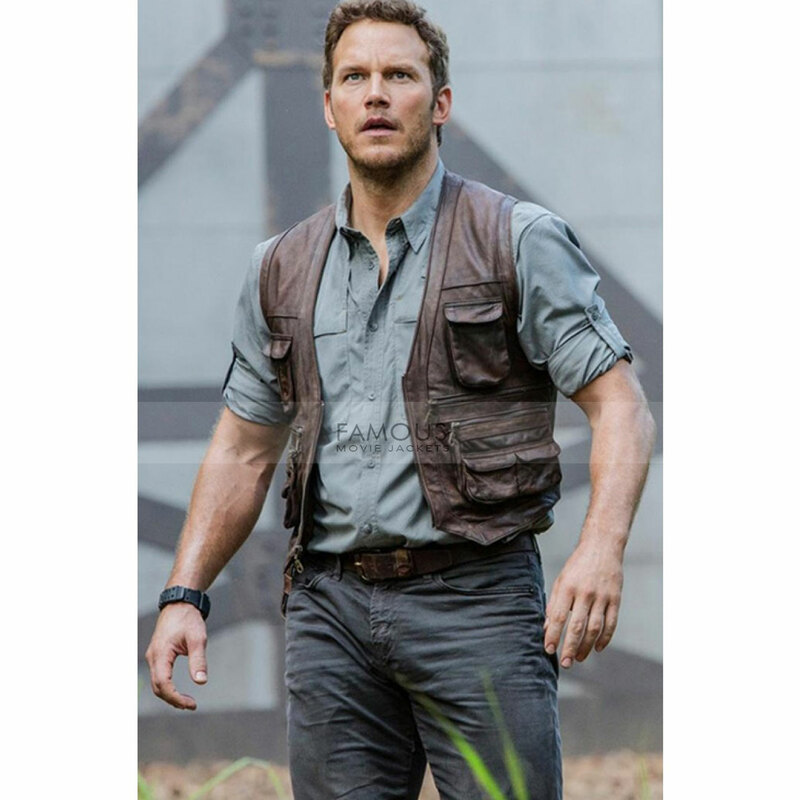 Jurassic World Chris Pratt jacket is made of 100% pure leather material in alluring brown hue. An authentic and durable outfit which promises to prove you a class and at the same convenience wearing this jacket because the supple viscose lining is provided as an inner. Therefore, get and wear it with confidence. The basic features may be simple but this Chris Pratt is something you can’t ignore in order to get a shine. Comprises of simple V-shaped neckline and buttons for expedient front closure. Sleeveless vest has two waistline pockets as well. What else you are looking to grasp a contemporary fashion statement. So, pick your style now on budgeted prices.